Take a trip in the Mainsail Sweetheart Top! 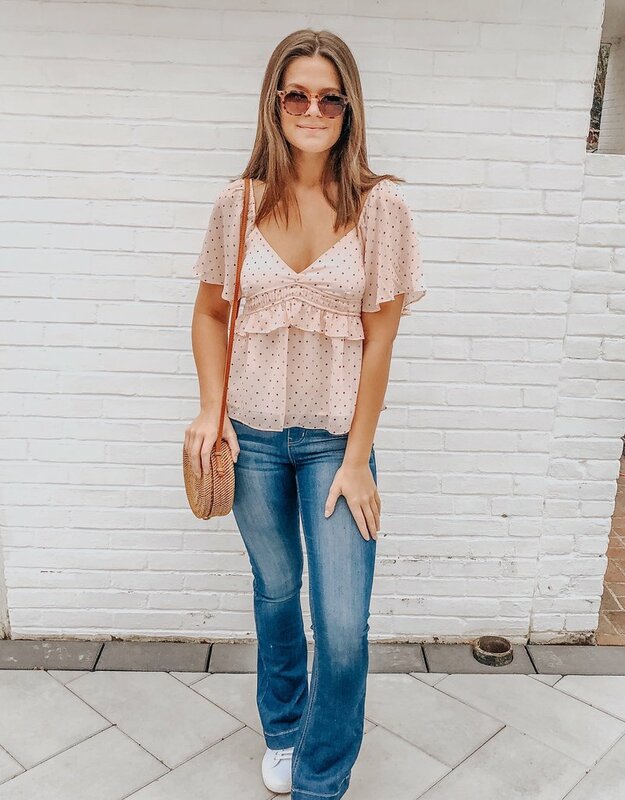 This fun and flirty ruffle detail top offers a multi colored polka dot print against a soft pink background, shaped around a sweetheart neckline. This lightweight flowy top is perfect for an afternoon with girlfriends, or even dressed up for a date night. Complete your look with a pair of jeans, wedges and crossbody handbag.